Dortmund remained undefeated winning the Robert B. Lewis (G3) and remains a major player for the Kentucky Derby (G1), while Far From Over joined the fray with an upset victory over the Derby points leader in the Withers Stakes (G3). The Bob Baffert trained Dortmund picked up 10 Derby points with his victory in the Robert B. Lewis. The colt battled back gamely in the stretch to outduel Firing Line by a hard fought head. The son of 2008 Kentucky Derby winner Big Brown is currently being listed at early Kentucky Derby betting odds of 12-1 at Bodog. Dortmund is perfect in four career starts and has moved up to third in the Derby points standings with 20 with his wins in the Los Alamitos Futurity (G1) and Robert B. Lewis. Next up for the colt likely will be the Santa Anita Derby (G1) on April 4. The Lewis runner up Firing Line has now lost two photos to Dortmund. The colt lost the Los Alamitos Futurity by a head in his previous start. The colt is pegged at generous early Kentucky Derby wagering odds of 30-1 at Bodog. Far From Over was sent off at 6-1 in Saturday’s Withers at Aqueduct and looked as if he had little chance after stumbling badly coming out of the gate, spotting the field about six lengths. However, the Todd Pletcher trainee came with a strong late run to win by 1 ¾ lengths with a patient ride by jockey Manuel Franco after the poor start, returning $14.40 for the win. 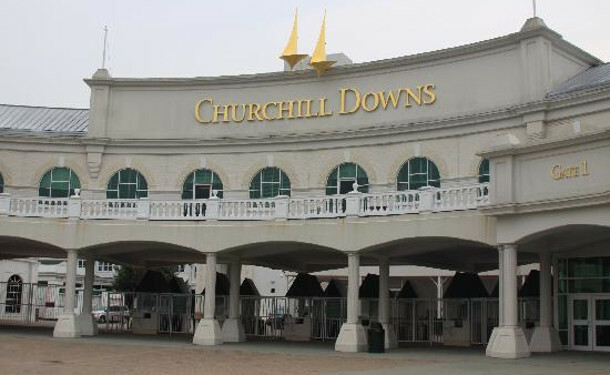 The colt has dropped to 20-1 in Kentucky Derby futures betting at Bodog. El Kabeir was sent off as the 3-5 favorite in the Withers but had to settle for the runner up spot. The John Terranova trainee came into the race off back-to-back wins in the Kentucky Jockey Club (G2) and Jerome Stakes (G3). Currently at Kentucky Derby future odds of 30-1, he picked up four points for his runner up finish and remains the leader in the Derby points standings with 25, which should be enough points to assure a trip to Louisville on the first Saturday of May.